The Rules and Regulations for Swim Coaches test will be unavailable from April 15-30. The officials' online tests will also be unavailable on these dates. All of these tests are being updated to allow for the May 1st rule changes. There is no grace period for coaches; they cannot be on deck at practice or meets until they meet the education requirement. The Rules and Regulations for Swim Coaches test is part of the 2nd year coach membership requirement. What an incredible end to the short course season. We saw some great racing up in Federal Way the past two weeks with 24 new individual OSI records. At Senior Sectionals Kaitlyn Dobler (TDSP), Caspar Corbeau (THSC), Ethan Heasley (HEAT), Ben Miller (TTSC), and Luke Thornbrue (HEAT) all set records in the 17-18 age group. Kaitlyn bettered Jamie Stone's 2016 50 fr time of 22.68 by going a 22.51. In the 100 br she bettered Ellie Jew's 1:00.99 with a 1:00.17, and in the 200 she bettered Robin Pinger's 2015 time of 2:13.45 for 178-18 and her own best time of 2:11.49 in the Open category setting the new mark at 2:11.25. Caspar went the first sub :20 in the 50 fr with a 19.85, which bettered Carson Brindle's 20.07 from 2013. In the 100 Evan Carlson's 44.09 (2017) was no match for Caspar who laid down a blistering 43.22. In the breaststrokes he got his hands on the wall in 52.91, which bettered Josh Bottelberghe's 100 time of 54.07, and 1:54.56 which destroyed Tommy Brewer's 1:57.04 from 2014 in the 200. Both of these swims also bettered his own times in the Open category. Ethan was able to get under Alex Stiles? 1985 times in the 500 (4:21.16) and 1000 (9:02.69) finishing in 4:20.83 and 8:50.51. The 1000 also bettered his open record of 8:59.64. In 2014 Patrick Mulcare swam a 3:48.48 in the 400 IM which Ethan bettered with a 3:44.25, which also bettered his time from last year of 3:45.56 for the open record. In the 200 fly Ben bettered his time of 1:45.79 and Can Ergenekan's (1992) open time of 1:45.55 with a 1:44.12. Luke was able to better Jacob Pebley (1:36.29) in the 200 fr with a 1:35.58. At the AG Regional meet Kaien Tan (PAC) set the standard for the boys 100 br with a 1:25.68 which bettered the record that has stood for 36 years. Kyle Stinchfield of SAC swam a 1:26.84 in 1983. PAC Mena Boardman was able to sneak under Brenda Cha?s 2007 time, 26.80, in the 50 fr with a 26.65 for the 9-10 year old girls. Also in the 9-10 girls Abby Evans, swimming unattached at the meet, bettered Morgan Scroggy in the 100 fr (57.96, 1999) with a 57.67. Maeve DeYoung (LOSC) snuck under the marks in the 100 and 200 back for the 11-12 girls with a 57.21 and 2:04.80. The former records were held by Grace Calrson (57.25) and Kate Laderoute (2:04.81). The 13-14 boys 100 back record was set in 2012 by Tristan Furnary at 50.57. Nick Simons snuck under the time with a 50.36, but was second to Marcus Gentry (SSS) who went 50.26. Our final individual record goes to Julia Stafford of BEND in the 400 IM. Julia swam a blistering 4:19.52 which was no match for Caitlin Sumnmers' time of 4:23.80 which has stood since 2001. There were several relay records set at the meets also. The Sherwood Y Dragons are hosting a clinic on April 27 at the Aquatic Center in Newberg. The clinic will be run by Ben Lee of Nomad Aquatics and Team Elite in North Carolina. For more info follow this link. The Chehalem Swim Team will be hosting a Fitter and Faster clinic May 18-19 in Newberg. For more information you can follow this link. The clinic will be run by Austin Surhoff and focus on IM technique. 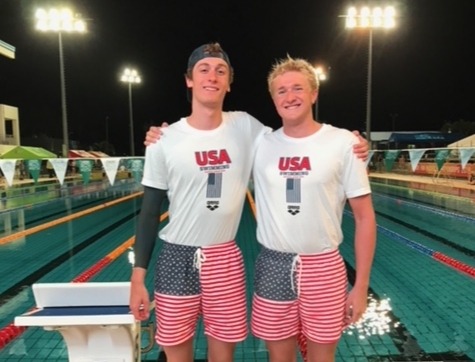 Beginning April 1, 2019 Oregon Swimming will not permit the use of tech suits for swimmers 12 years and younger. You can see the full policy and a list of the banned suits here. 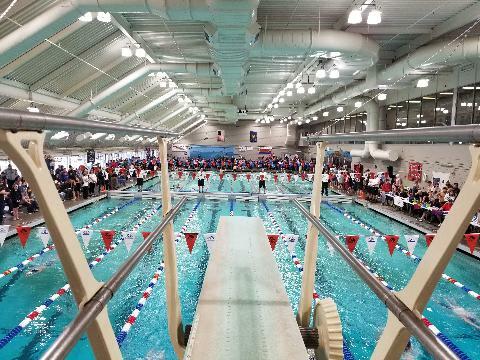 Meet bids for the 2019-20 short course and 2020 long course seasons are now open. Invitational and Open meets are due by March 31, 2019. Bids for championship meets are not due until April 30, 2019. The tentative calendar and all of the bid forms are posted under the Clubs tab/meet directors or you can follow this link.